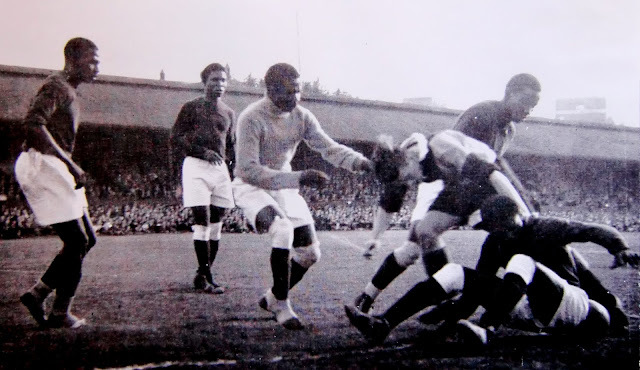 In 1949 the Nigerian FA sent over an 18 strong squad to play five matches against top English amateur sides. One of these matches was against Dulwich Hamlet at a packed Champion Hill. Footage from the game can be seen here and an article about the visit by Jack McInroy Snr from the Hamlet Historian can be read here.